Melville Heights is the place where people aspire to live one day because if you do then they have pretty well made it in life. The houses are breath-taking but when the story opens a body has just been discovered in one of the properties and the police have been called. There is no doubt that someone really wanted this person dead. The story centres round the people who live in this exclusive setting and it soon becomes rather clear that money doesn’t solve all your problems. There are quite a few characters in this story but they are all so very different that there isn’t any confusion where they all belong. Tom Fiztwilliams is the newish head teacher brought into a failing school to work his usual magic to bring it back into line. He is a popular guy with pupils and parents alike, well apart from a minority who see him as too good to be true enigma. There is also a bit of a crazy lady that believes he had followed her to Bristol so she is determined to out him for the stalker she believes him to be. 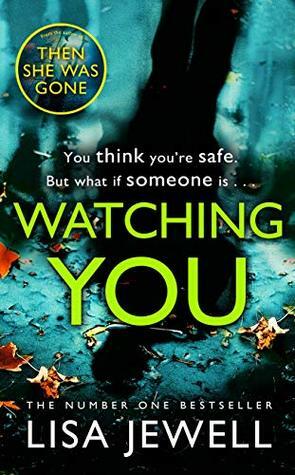 This is such a busy book with a little bit of fatal attraction going on in the street, abuse and more than one teenager in desperate need of help in one way or another. It wasn’t long before I was totally engrossed in this book, trying to work out if mad ramblings were true, what had happened in the past and just loving Freddie, the head’s son, the more I got to know him. Freddie has to be my top of the class character in this book. For me it was him that really swings this into a top class read. The more I found out about him the more the penny dropped. I loved how the author included so many current topics in this story that different families were having to deal with. It felt so real with today’s society, cut backs and stigmas. There is so many shocking twists that really threw me, just brilliant with a solid back story that just kept in the back ground. A brilliant read. Totally belting! Lisa Jewell had always planned to write her first book when she was fifty. In fact she wrote it when she was twenty-seven and had just been made redundant from her job as a secretary. Inspired by Nick Hornby’s High Fidelity, a book about young people just like her who lived in London, she wrote the first three chapters of what was to become her first novel, Ralph’s Party. It went on to become the bestselling debut novel of 1998. Fifteen bestselling novels later, she lives in London with her husband and their two daughters. Lisa writes every day in a local café where she can drink coffee, people-watch and, without access to the internet, actually get some work done . . .
I’m going to have to stop reading your reviews! Every time I read one, I want the book and I can’t afford them all. You’re costing me a fortune!